Great to catch up with Mike Bennett again. 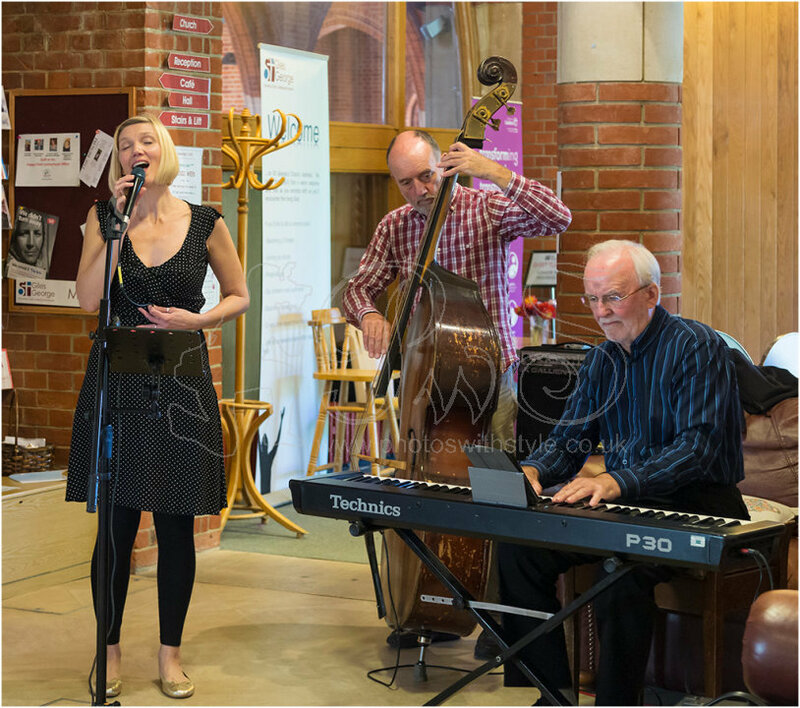 Sarah Jane Garside Eveleigh is a fantastic singer and wonderfully aided and abetted by Mike on double bass and Roger Hind on keyboard. See also my article Miss Dolores & Friends in the What's new section.